Most terrariums I come across are "freshly" planted with small plants. It can take a while for plants to grow into a container and as terrariums have varying life-spans- sometimes the environment cannot support a mature plant. 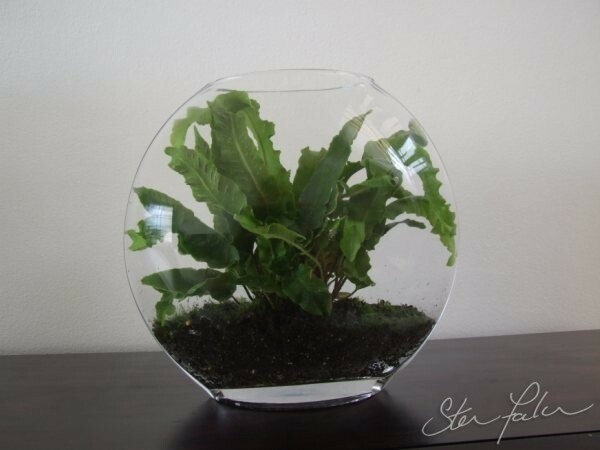 Cue Steve Falconi Designs Hart's Tongue Fern terrarium. What a beautiful plant and it looks perfectly suited to the globe terrarium. Looks really good and one of my favourite ferns.